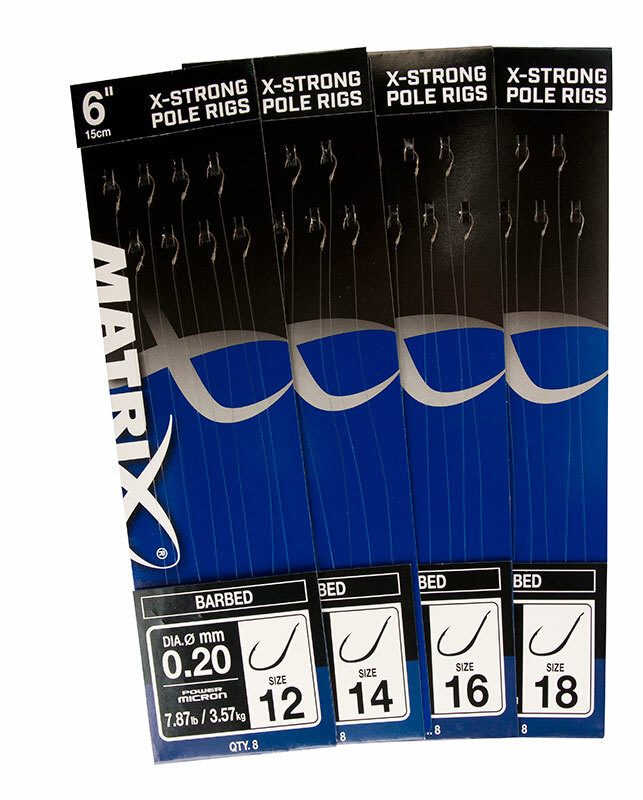 Developed for using as pole hooklengths for Carp and other large fish. Ultra-sharp Japanese manufactured hooks designed for large fish. Ideal for fishing pellets, corn, meat, worms and maggots. Constructed with Matrix Power Micron and Feeder Rigger hooks.